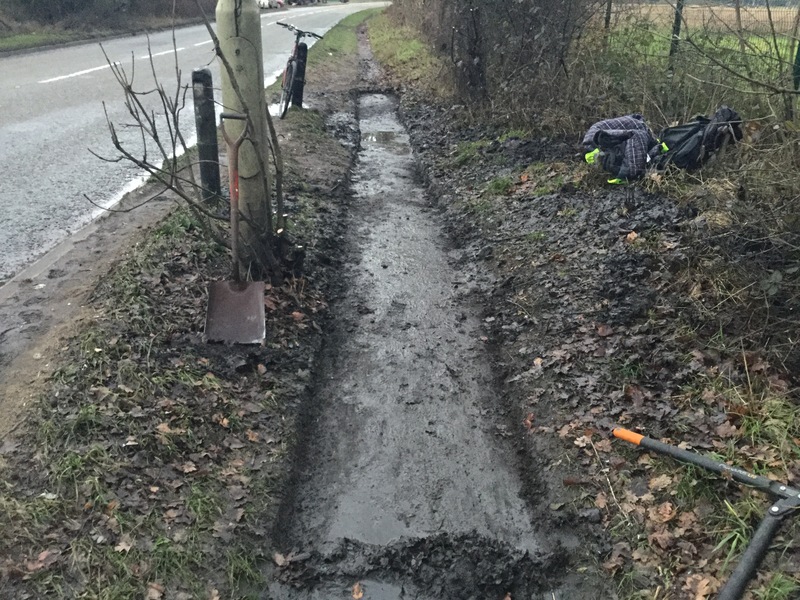 So yesterday I decided to go along with a shovel and loppers to clear a short section and take photos to prove that there is tarmac underneath. I got a bit carried away and cleared about ten metres. 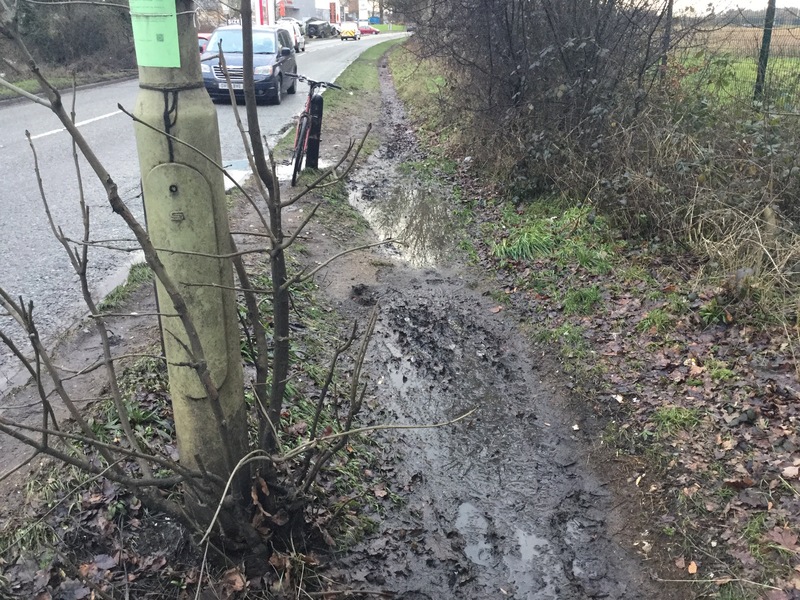 In the before and after photos below you can see a well worn trail between the kerb and the lamp post where people have been walking dangerously close to the traffic to avoid the mud and overhanging branches. Although this was probably the worst section, much of the path is in need of similar maintenance. This footpath is finally getting some much needed attention. Unfortunately it is not being upgraded for duel use by bicycles but I guess there wasn’t the necessary width available. It is however being completely rebuilt with concrete curbs and a tarmac surface. This entry was posted in Uncategorized and tagged walking. Bookmark the permalink. Suggest you now report it to HCC again with before and after photos. You’ll get the usual unless its a hazard we don’t do anything message, but at least they have to look at it. There ought to be a shared use pavement along here to enable Oaklands college to be accessed from Hatfield.